Hemlock plant, Conium maculatum, is also known as Poisonous Hemlock. All parts of Hemlock are very poisonous, do not ingest. The ancient Greeks administered the juice from this plant, as a poison, to execute criminals. Socrates died in this manner. Note: Poisonous Plant. 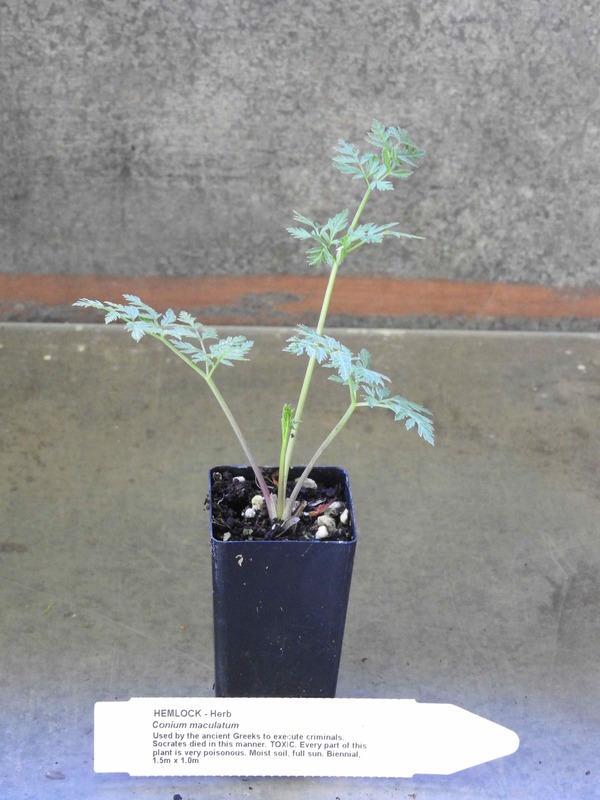 Hemlock plant is native to Europe and adaptable to most soils and conditions. White flowers in spring. Frost resistant but drought tender. A biennial plant, growing to 1.5m x 1.0m. Be the first to review “Hemlock, plant” Click here to cancel reply.